At popsure we specialize in helping expats just like you understand German insurance, ensuring you can make a well informed, independent decision. As an independent advisory tool (not tied to any insurance company), we can give you a personal recommendation. We'll also tell what to watch out for in each of the types of insurance. 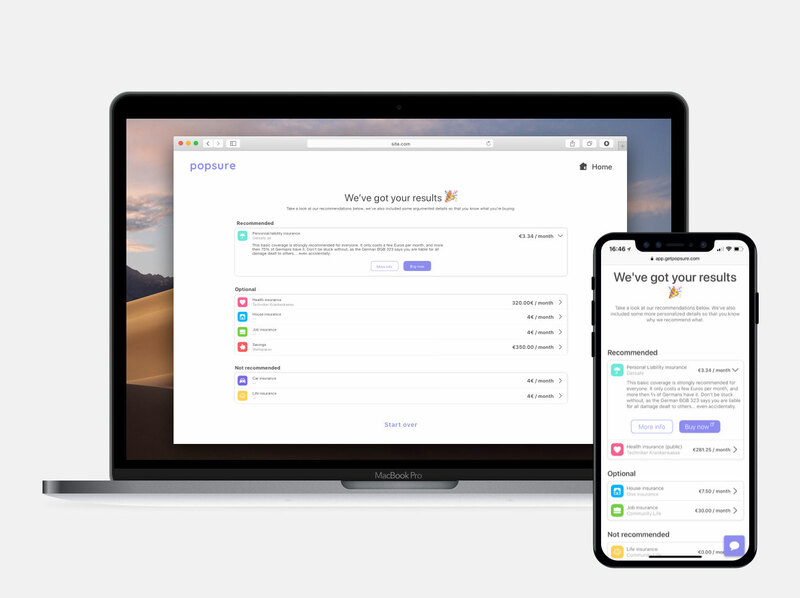 Popsure helps you create an insurance plan that's perfectly tailored for your life. We offer you the reassurance of an independent recommendation - and can pass you on to the best value insurance providers. For more information on Popsure, or to get your personal recommendation, please visit getpopsure.com.